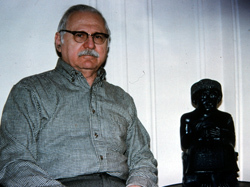 This interview was recorded in Sitchin’s home office in Manhattan’s Upper West Side on March 13, 1996. It was originally intended for the international Spanish magazine Año Cero (Year Zero), published in Madrid but distributed throughout Latin America as well. Later, a Japanese version was published in the now-defunct Tokyo magazine Borderland, and an edited version in the original English in Fate magazine in the U.S. 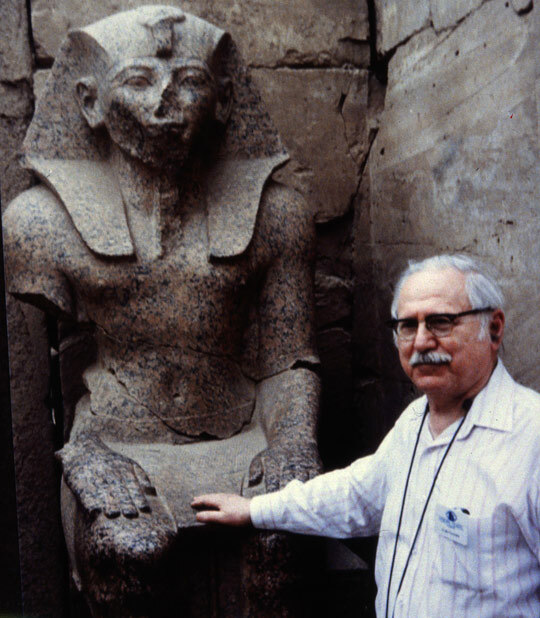 However, this is the first time that the full, unedited transcript of the interview is presented, as a tribute to the great, late Zecharia Sitchin. Besides the range of highly interesting topics covered, it also shows Zecharia’s thought process and the way he dealt with difficult questions like predictions for the return of Nibiru. The brief texts in brackets are my own clarifications for certain names or issues cited in the interview. ZS: Well, what should be interesting, Antonio, is how I came to write the book. The first book, The 12th Planet, was published in 1976, we are here 20 years since publication, not just since writing, and over those 20 years or a little less, by the time I got to Genesis Revisited, I followed of course all the discoveries in the various scientific fields, be astronomy or biology, etc. 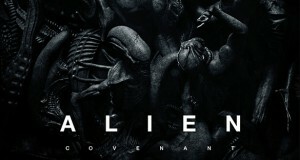 and each time, let’s say there was a news that it was due to advances in DNA, it was established that there was an Eve, a first mother from which all humans today stem, no matter what they are or what their race is, about 250,270,000 years ago, so I would say first to myself and then to the family and others and mentioned, and say, you know, it coincides and corroborates not just the Biblical tale of Adam and Eve, but corroborates through genetic advances and through our discovery of how to create so-called test tube babies by mixing the male sperm with the female egg and then re-implanting it, etc., corroborates not just the Biblical tale which comes from the Sumerian tales, but corroborates the methods used to bring about the Eve. Then comes news a few years later that there was also a first Adam, the male one, so here is one thing. Then there are some other things about the acceptance by all the scientists today of the theories that used to be disagreed or debated about the continents or plate tectonics, and there were articles and studies showing that [at] one time all the continents were in one side. What they don’t say is to complete the story and say, if all the continents were on one side, so what was on the other side? The other side was a tremendous gap, so this is the Sumerian story of how the Earth came about, that it was really half a planet, half a planet called Tiamat that was broken up in the collision with Nibiru, Marduk, so here is another corroboration and so on and so on. And each time I would say, you know, this really, what can I do to speak out and tell people, but the Sumerians said it already. OK, then it came to the point that the spacecraft called Voyager 2—first were the Pioneers and others—but especially Voyager 2 was traveling beyond Jupiter and Saturn to the vicinity of Uranus and Neptune, and it was nearing Uranus and NASA broadcast live the transmission from the spacecraft and you could see, sitting at home—I happened to be in Chicago that time—how electronic piece by electronic piece the image of the planet comes out until you see a blue green planet, beautiful, and I literally jumped from my seat and shouted, but that is exactly how the Sumerians described it as a blue-green watery planet, so I went and wrote an article that, it was published by the way in Más Allá [a well known magazine from Spain], [Michael] Hesemann published it in Germany [in Magazin 2000], and I send it to OMNI here, predicting what would be found at Neptune some 7 or 8 months later, that it would be really a twin of Uranus in many respects, and then said, I know that because I fully believe and accept Sumerian knowledge which describes the two planets as twin blue-green planets; it was published overseas, here OMNI didn’t publish it, but then after it was corroborated, when they saw what happened in Neptune, they published a 2-page spread and they said, this article was sent to us before this and admitted that they sat on it, so I had my confirmation. 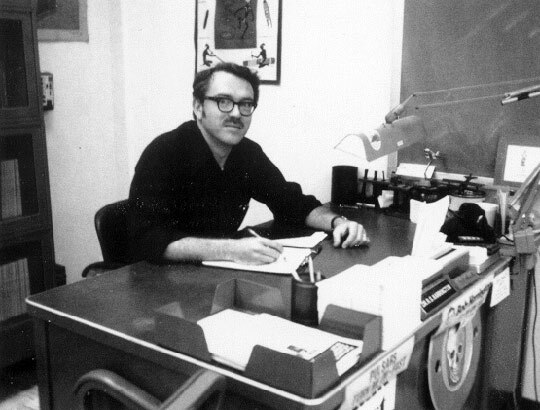 So this and other things led me to, and one time during that period I met my editor at Avon and I told him, you know, I am really bursting, I am bursting, people don’t realize how every day, every day we get corroboration of ancient knowledge; he said, so why don’t you write a book? 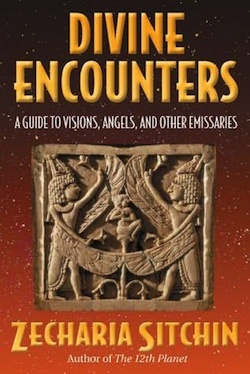 and thus came Genesis Revisited with its sub-title, “Is Modern Science Catching-up with Ancient Knowledge?,” and the answer is yes, and each chapter deals with the planets, how Earth was created, how according to the Sumerians the moon came about, the story of Eve, that there was an Eve, and etc., etc. 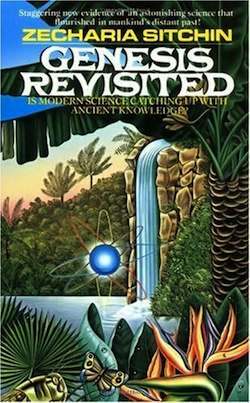 So this is a review in 1990 and I have piles of new materials for perhaps and update of Genesis Revisited because the interesting thing, Antonio, is not just that all new discoveries in any field corroborate the Sumerian knowledge, but that nothing that has been discovered contradicts the Sumerian knowledge, that is a point I want to stress, nothing is discovered that says, well, if this is so, then they were wrong. 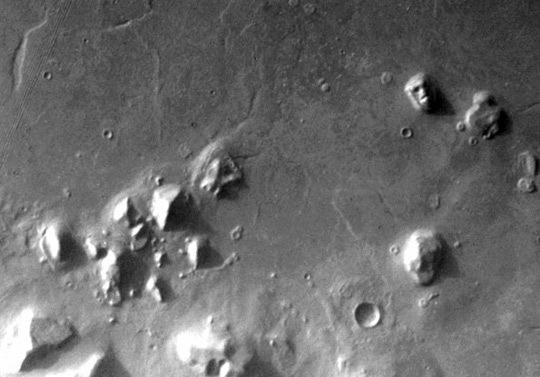 "Face on Mars" (upper right) and other Mars anomalies. 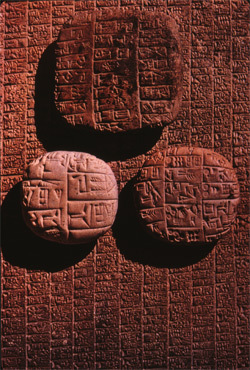 ZS: The Sumerians said that there was a change of course as their spacecraft neared Mars, Mars is referred to as the way station; so all this plus the NASA photographs and the Sumerian text dealing with Mars, and the Sumerians even have a route map in the British Museum from Sumerian times, that shows how there is a turn made at Mars to pass between Mars and Jupiter, led me to the conclusion—which I discussed in the book—that the Anunnaki had a space base on Mars. 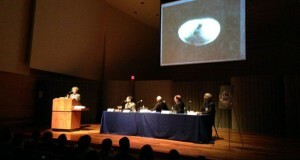 Now, if you then look at what happened to Phobos, the Soviet spacecraft in 1989 which was one of two, Phobos-1 was lost inexplicably, and Phobos-2 did make it to Mars, started to sent pictures; I don’t have it in the book but I have it in the video, that among the pictures that Phobos-2 sent from the surface of Mars, which orbited for some 26 days, were also right-angled structures and what looks like the grid of a city, a huge city. ZS: Well, when it was nearing Mars, I happened to be in London in a meeting with some friends, and one of the questions was, what you think it will find? and I said, well, first let’s see if it gets there, and after it was lost one of those who was at the meeting send me a letter and said, I want to put it in writing that this is what you answered when the question was asked, first, let’s see if it gets there. Now, I of course didn’t know that it would get there or wouldn’t get there, but I had reasons to doubt because, as I say in a book or articles or lectures, this whole thing brings to my mind the incident of the tower of Babel in the Bible, when mankind was building the tower whose head could reach the heavens, which today we call it a launch tower, and it was done in a place called Babylon, which in Babylonian comes from Babili, which means ‘gateway of the Gods,’ so that’s the place which we call today a spaceport, and somebody came down, the Bible definitely says, that whoever they called by name, came down and it did not like what mankind was doing and spoke again the plural like in the creation of men story, ‘let us make the Adam in our image and after our likeness,’ so it’s plural, and said to unnamed colleagues, basically we cannot let mankind do that because if they do that who knows what else they can do, and put an end to it. So it seems to me that this is what happened with Mars Observer, a bit of the Tower of Babel story, a bit of the Phobos-2 event, that somebody was there before, has been reactivating the spaceport and probably using—I say probably because it’s a guess—using the moonlet as the artificial base, rather than on the face of Mars itself, and just doesn’t want us to take a close look, in other words, if we just photograph from a distance, fine, but if you come to bombard me with laser beams, forget it, so that’s basically. 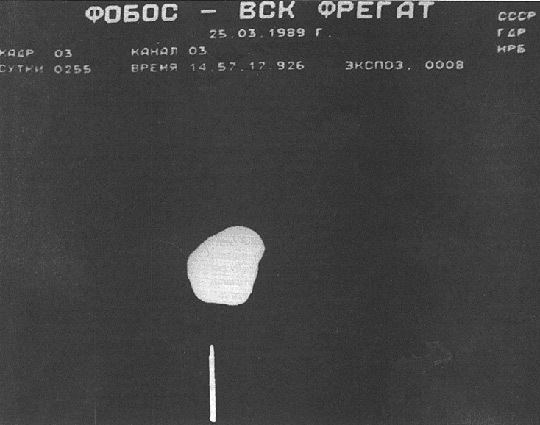 Now, some of the explanations about the loss of Mars Observer were: one, that nothing happened to the spacecraft, it was just a malfunction of the communication equipment, although you know there are always back-ups, etc., a malfunction, so that the spacecraft went into orbit around Mars as programmed and is still orbiting but not broadcasting. More plausible at the time or accepted, was an idea pushed by NASA that the instructions that were given to it to change course, that’s when it happened, not to start filming but to change course, somehow went awry and the spacecraft just sailed passed Mars. Now, if it sailed past Mars it is still a member of the solar system and therefore the predictions were that if that happened, it would orbit the Sun and come back into view or tracking view from Earth about a year later. Now, the year later went by and nobody said a word, you did not read in any NASA statement, any of the astronomy magazines, in any of them there wasn’t a word that was said, well, we were expecting it to reappear but it didn’t, as if none ever said it, so it’s not the explanation then, that something happened to spacecraft itself, that’s the enigma. ZS: Well, OK, alright, so well, I am happy to hear that, anyway, so you have to say where they come from, and the Sumerian answer which I elaborate, is that they come from another a planet in our own solar system, that’s the key difference between my conclusion and all the SETI search, not light years away; before I know I have an answer from where they come there is no point in writing the book. The second question is why did they come, because with any technology as advanced as you are, it is an expenditure of energy, of resources, so why would they come here? 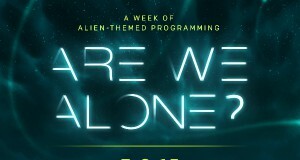 Because in terms of the universe, we are just a speck of dust, so why would anybody bother to come here? The third question is, did they come on purpose, or did they just happened to come here, in other words, where they traveling, you know like the Star Trek people from A to B and had an accident, like a plane traveling sees a road and comes down; did they just see this small planet and just came down, but then it would be a one time visit, but the Sumerian evidence is that they kept coming and going, coming and going, so that’s the third question; and the fourth question is, when did they come, and again in my opinion at the time it was not enough to say, well, they came in ancient times, in prehistoric times. When? So when did they come? Did they keep coming and going? Why? and from where? They are also answered in the first book. 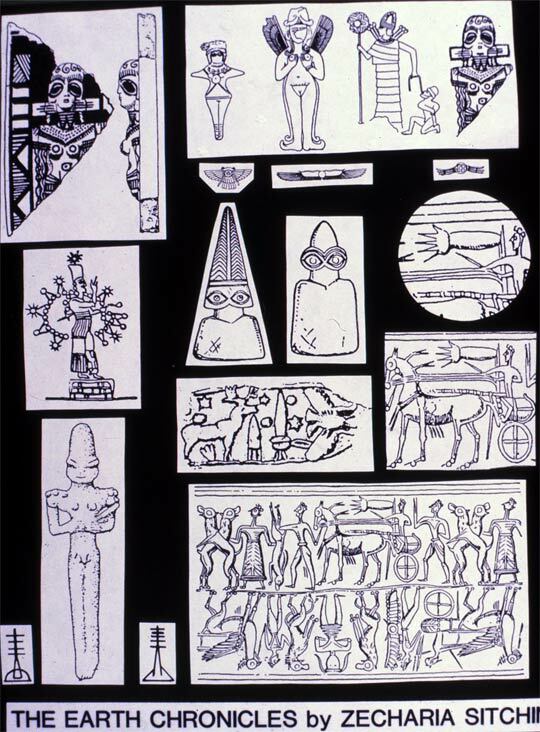 ZS: A Sumerian, well, let’s say Mesopotamian text, whether we find the Sumerian original or not I don’t recall, but let’s say Mesopotamian text dealing with how do you determine, I mean, who is the one that comes and tells you, do this and don’t do this, and is it just a robot, or is he some kind of lower rank Anunnaki. ZS: Well, that was by the way a problem and eventually led to the use of nuclear weapons to obliterate the spaceport in the Sinai, which I describe in the book The Wars of Gods and Men, so the problem is this: first of all the question is, who devised the zodiac? Now, there are two parts to the answer. The first answer is that we associate it with the Greeks because it’s a Greek word which means the animal circle, because of the notion that you see whatever, a lion, a virgin and so on and so forth, which by the way no one, not even a trained astronomer looking into those constellations sees a lion or a bear, so I associated it with whoever really devised [the zodiac]. Secondly, this change, I don’t know if I have to explain it to you because you know it, the whole notion is that on the first day of Spring, when the Sun rises, the Earth is here, the Sun is here, when the sun rises it’s called heliacal rising because it is not dawn yet so the sky is still dark and the sun just begins to light the sky, and that is the moment when you can determine where the sun rises against the background of the stars, because once the it’s a little more up you don’t see the stars. So this is the moment of heliacal rising is interesting enough, I am taking groups of friends twice a year, [points out about watching the heliacal rising from the airplane in his tours] and then on the first day of spring in the spring equinox, which again was determined by the Anunnaki, you see the constellation against which it is rising. Now, the change of ages is due to a phenomenon called precession, which is explained as a retardation in the orbit of the Earth around the Sun. In other words, the Earth orbits around the Sun and of course every year comes back to the same spot, but there is a slight retardation for whatever reasons, there are all kinds of explanations that amount to 1 degree in 72 years, so to notice even a 1 degree change, you know, it’s here but it’s a little there, is 72 years which is like a lifetime. A change of a zodiacal house which mathematically is 30 degrees, 30 times 12 is 360 degrees, takes 72 times 30, is 2160 years, so as a devise mathematically, you divide the whole circle into 360º, you divide that into 12 houses—again the reasons for why 12 I won’t repeat—and therefore is 2160, so mathematically you can say from the last time 2160 years the new age has arrived, the age of Taurus which was the age of Enlil and his clan ended and the age of Aries, which was the age mainly of Marduk, the son of Enki, is begun, so therefore Marduk, the supremacy on Earth is to pass from Enlil and his son Ninurta to Enki and his son Marduk, but when you look at the heavens this is not so, because the constellations are not identical, some are smaller, some are larger, it so happens that the constellation of Taurus is one of the larger ones, so if you looked at the sky from observatories as Stonehenge was, and somebody like Marduk or his son Nabu would tell you a new age has arrived, but if you look at sunrise on the day of spring equinox, you’d still see it’s rising in Taurus, so this was the conflict; has Marduk’s time arrived or not yet, he said yes, the other said, no, just look, look, what we had to argue, whatever instrument we are using, and there is a description in my book of the instruments, quite sophisticated, and it’s still Taurus. Finally, it led to clashes and to the use of nuclear weapons to deprive the space port in the Sinai from Marduk and his followers, this ties it with the story of Sodom and Gomorrah in the time of Abraham, but eventually Marduk almost by force took over the succession, the supremacy on Earth, and the changes were tremendous, it was almost like not just new supreme god, it was like a new religion, everything became more rigid, scientific knowledge began to dwindle, and it’s from that time almost the 2000 years to the time of Jesus and all through the middle ages there was a constant decline of scientific knowledge, what we associate with it, research, thinking, understanding, everything declined, there was a complete change in the role of woman, who in Sumerian times had almost total equality with men, they ran businesses and almost like high priestesses, and all this changed, things became much more cruel, there was more bloodshed, more warfare, the changes were tremendous. ZS: OK, so now the question is what do we go by, do we go by the basic formula that say 72 years times 30, 2160, it’s a new age; or do we say, look at the stars? It’s not yet or it’s already, I don’t know, I am not looking at the skies, there is a lot involving more and more and more around the Maya calendar, and I just came back from Yucatan with the group, lectured at the… on each tour besides my own site briefings, there are almost daily briefings, after dinner, etc. each one gets a folder of briefing notes, 30 pages, it’s very thorough, it’s really like a study tour… so there is the calendar which comes to it’s major, major complete cycle in the year 2012, 2013, there is an argument about one year, more or less, that could well be a prediction of the new age. According to the Maya, Aztec calendars have all these ages which they call Suns, always ended with some kind of a calamity, so take your pick.